If you’ve ever wanted a Rolex pocket watch to compliment your Rolex wristwatch, now is your chance. 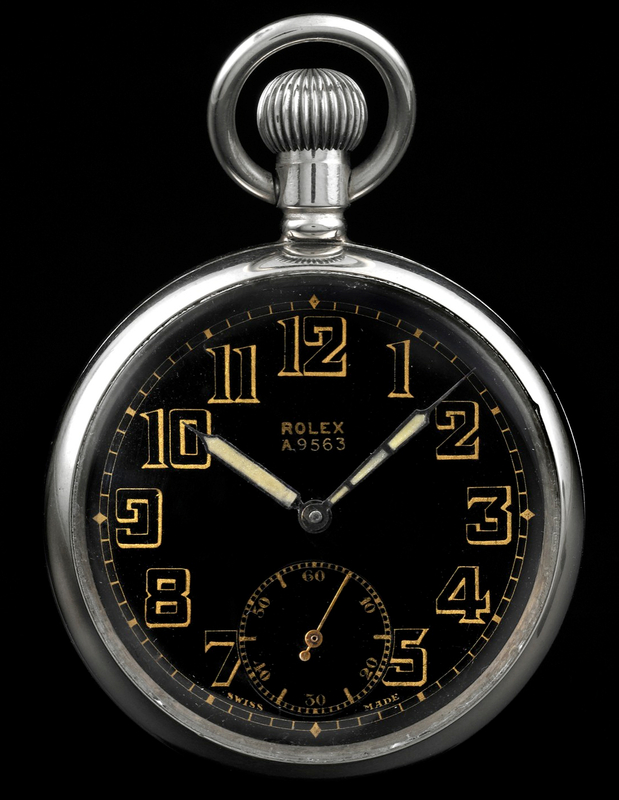 At the Antiquorum> auction in New York next month, a cool Rolex Military Pocket watch will be available for sale without reserve. Made for military use, circa 1940, the case back is engraved with British Ministry of Defense of issue number A.9563 G. S. MK. II. The polished nickel case measures 50 mm in diameter by 15 mm thick. 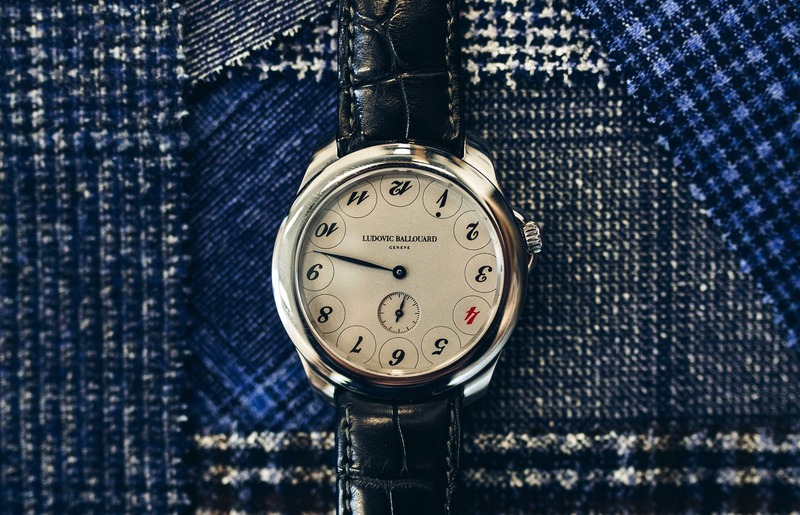 The original dial is black with gilt-outlined Arabic numerals, outer gilt minute track, subsidiary seconds dial. Luminous blued steel epee hands. Inside is M. Cal. 540, 18”’ a rhodium-plated 15 jewel pocket watch movement. 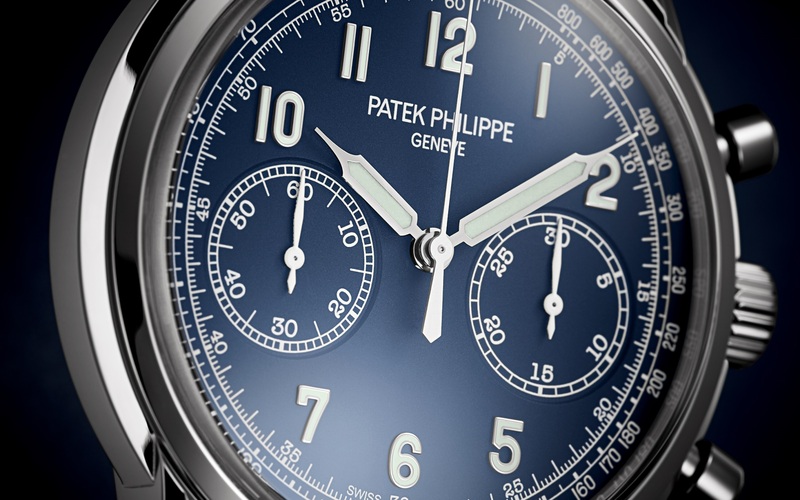 It features a straight-line lever escapement, cut bimetallic compensation balance, blued steel Breguet balance spring and index regulator.